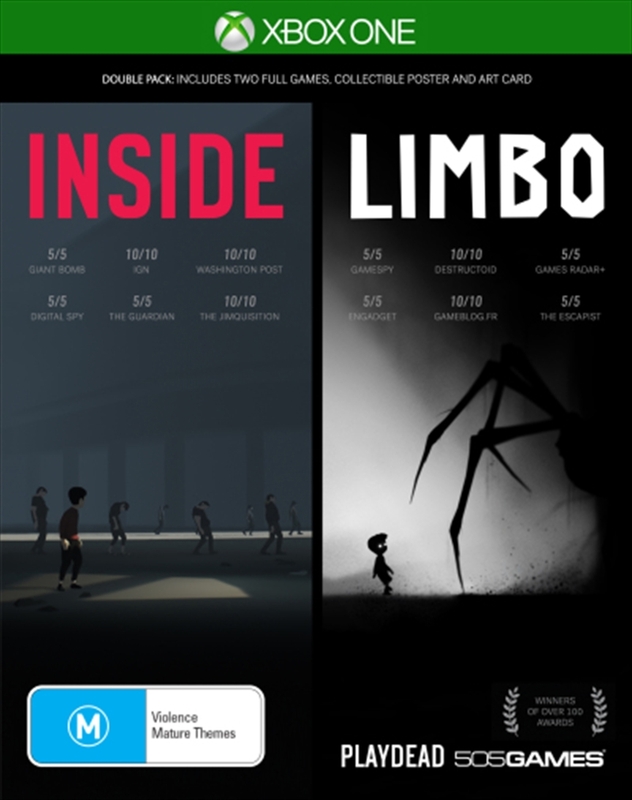 INSIDE and LIMBO combine simple gameplay mechanics with award winning artistry, expertly crafted sound design and incredible visual storytelling. LIMBO - Playdead's breakthrough debut game of 2010 - won multiple awards after release, including Best Platformer (IGN), Best Puzzle Game (Gamespot), Top 10 Games of the Year 2010 (TIME, Wired), Most Original Game (G4 TV). Its eerie black and white atmosphere has been compared to film noir and pointed to as an example of videogames as art.